Prequalification at Aosta Sport until Wednesday at 19:30 PM to create the groups. Prequalification server is using the nKRank. Are you looking for a stable setup for the 500 Abarth? here is a nice setup included in the Trofeo Abarth version, as a default setup. I found it really easy to drive and stable. Giancarlo created this video dedicated to the Fiat 500. Actually it's not exactly our 500 Abarth, but its anchestor. did you recognize it? 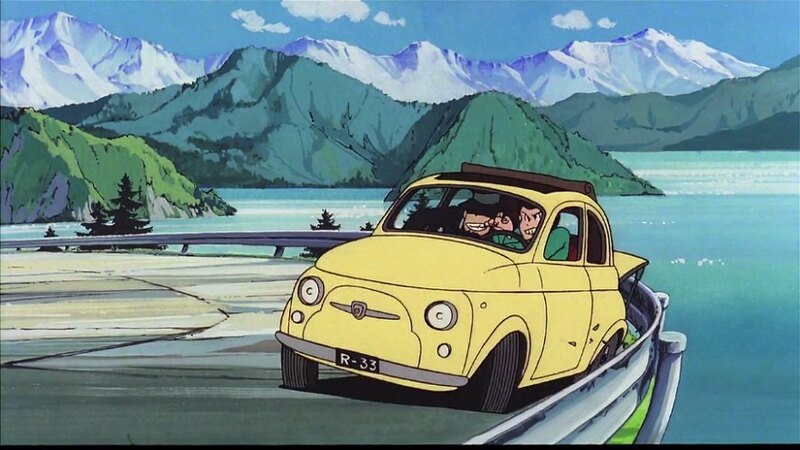 It's Lupin's car! Giancarlo said that that this is what he think about while he is driving it! His way to go back to his childhood! Here is his funny way to invite you all to enjoy our next event! A small note for Crema. You can keep the other settings to the original values, since all other values are managed by the server. Signed for the event ! But my time stored about at 18.10 o'clock is valid ? How many time we have to prequal ? yes,it is,that's only an update on the current timing! Sry Andrea, but where is my time ? Michele, unfortunately we don't have live updates on our prequalification results. I parse the log file once in a while. Maybe you had your run after the last update. Azz, Luca is really too fast ! But i'm a little sorry for FPS in game, really impossible drive with 18-20 fps, specially in Crema and Aosta ! But could it depends from server ? I just run a test with 3 servers running and 2 of them with rank, and I got 9.5 Mb Download Speed and 12.5 Mb Ulpoad speed. Usually when the server is having problems you have lags, or warping. FPS are usually related to the car/track. 500 Abarth is a very nice model but with a lot of polygons. Just use a lower resolution/settings. With few cars you should not have so many problems but with a full grid you might have a FPS drop. Apparently in the latest nK version something changed regarding graphics handling, and a lot of people are experience problems, unfortunately. I hope that Kunos with sort this out very soon. From time to time I've seen that you FPS could drop even in case some of the drivers is loosing a lot of packages (for example if he is using WiFi connection or has a bad connection, for example during a storm, some ADSL start performing very badly). very nice to see new comers, and drivers that haven't driven with us for a while, getting such a good results. Well done guys. I hope to see you racing with us more often.